Mr. Heep is a wonderful teacher. He does his work with dedication and commitment to make a difference. He guides student to go back on track and achieve their goals. Students feel they are in a safe place when they go to Credit Recovery Lab because Mr. Heep always has a smile or a witty and humorous comment to share. He is willing to walk the extra mile or more to help students achieve their goals. Liza Guirigay is one of the hardest working Special Education teachers on campus. She is responsible for case management duties for many Special Education students: working with teachers of record to guarantee all students’ needs are met, assisting in updating and rewriting their services every year, and helping to plan their transition to adulthood as they graduate. She also helps track the growth of many more students in academic and social areas. In addition to her Special Education duties, she still has all the typical duties of a classroom teacher and is often the last one to leave campus; her tutorials often last past 6PM! 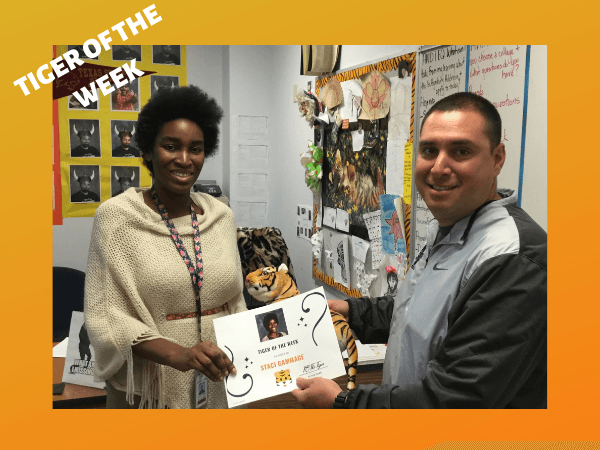 Ms. Guirigay is one of the unsung heroes of Stony Point, and many students would fall through the cracks without her diligence and dedication. Russell Gallatin is one of the most supportive teachers that I know. 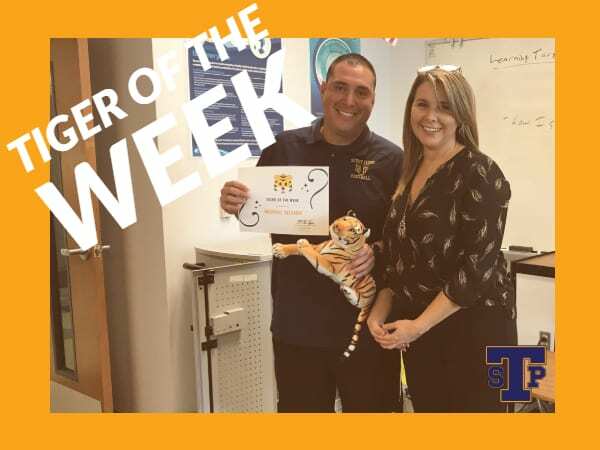 He spends a great deal of time, effort, and enthusiasm creating engaging lessons, supporting his students, and ensuring that they are successful. But, Mr. Gallatin is not just supportive of his students. He is always helpful and supportive of his co-workers as well. Whether it be a question about anything from math to technology to campus resources, Mr. Gallatin is always willing to assist in any way that he can. In short, he’s never going to give up on you and never going to let you down. Mrs. Gammage always goes above and beyond in her job. She works tirelessly to ensure all of her student’s needs are met along with trying to grow our AVID program. She does a phenomenal job of bridging the middle school programs with the high school programs. Mrs. Gammage is also always working to make sure her students are able to attend college visits and allow them to see their options after high school. When Mrs. Gammage is not working on her AVID class, she is busy coordinating our 2 student celebrations! These are the 2 biggest student events held on this campus. She rarely ask for help, and never complains. 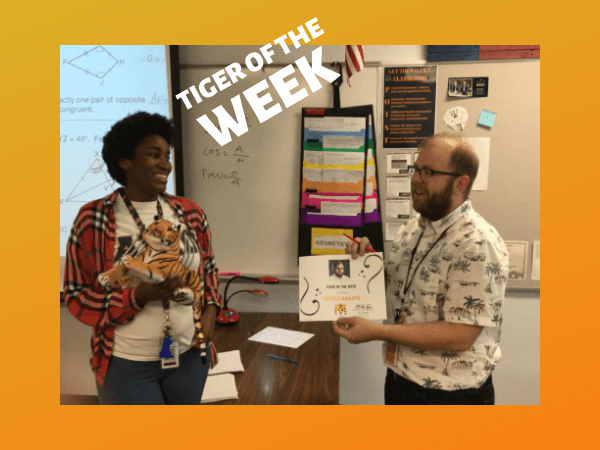 This is a true Tiger of the Week! 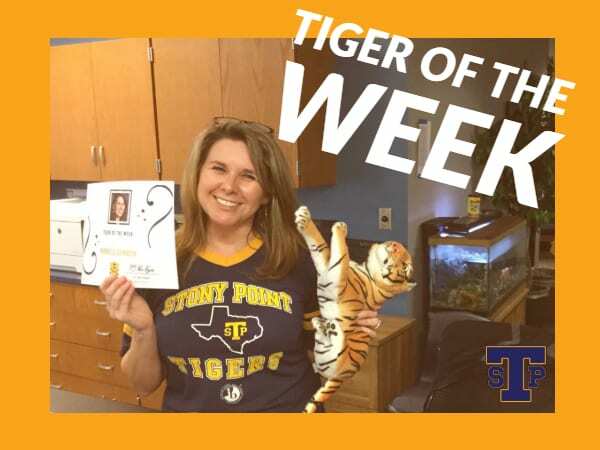 We appreciate everything Michelle does for Stony Point High School. Mary Helen Herman is an awesome person. She always has a smile on her face and is willing to help anyone with anything at anytime! This beautiful woman exemplifies what the Tiger Nation strives to be: a tower of strength, faithful in her fortitude and a lighthouse of courage. She is a wonderful professional, but she is also a tremendous positive influence on all of those who are lucky enough to get to know her as a person. I appreciate her encouragement and her friendship. 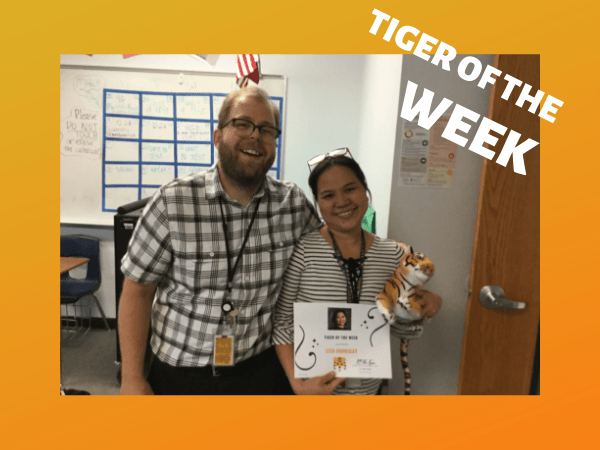 It is an honor to showcase her robust might and generous spirit as the Tiger of the Week! 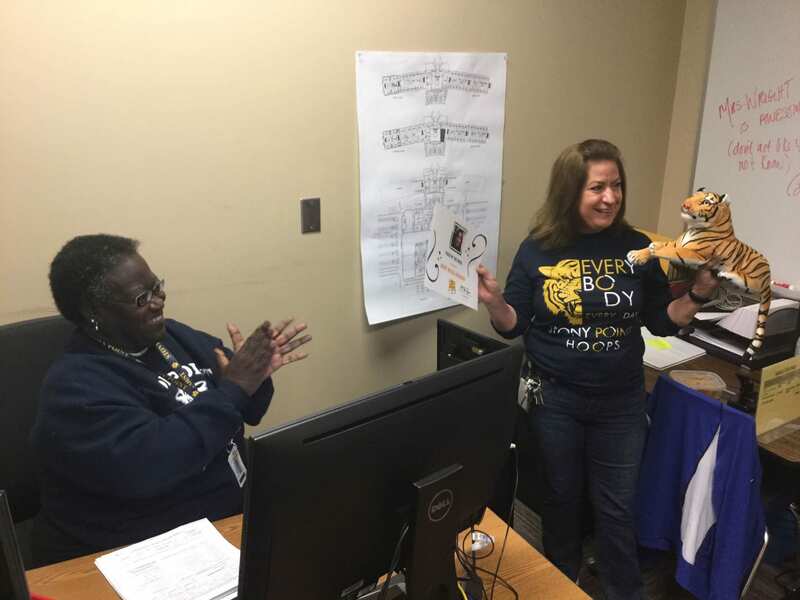 Cheri Winne is a true gem at Stony Point High School. She always greets everyone she meets with a warm, welcoming smile and a kind word. 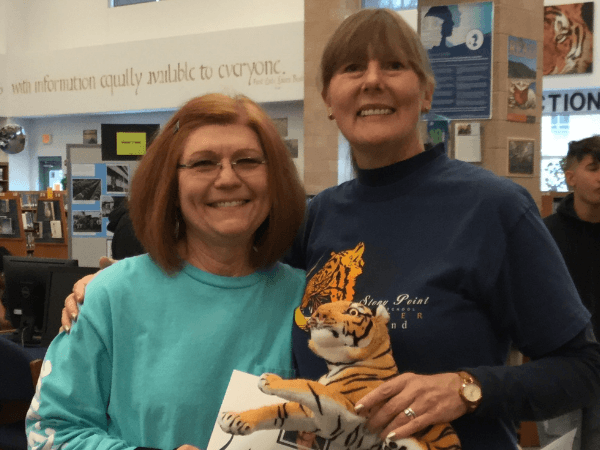 She has been a devoted Tiger, supporting her students, fellow faculty members and staff for many years. 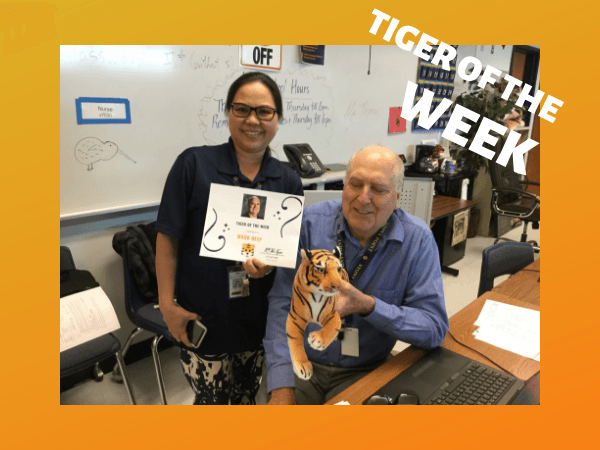 She has been the sponsor of The Tigers Tale Literary Magazine and Stony Point’s Junior Historians for many years, guiding and encouraging students in positive ways to get involved and accomplish goals they set for themselves. She is the parent of former Stony Point graduates, of which one was a Tiger Dancer! 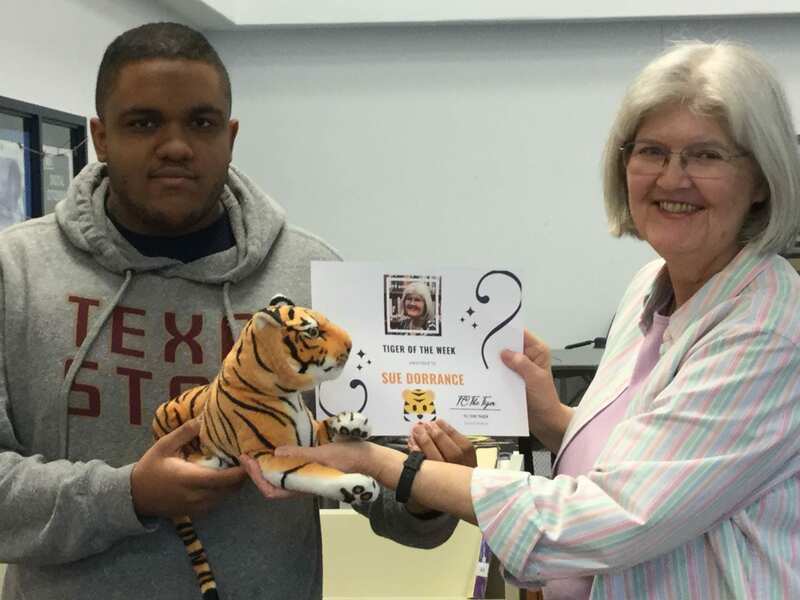 Cheri Winne is a kind and caring person, and a phenomenal teacher, who cares deeply for her students and their success as young men and women. It is an honor to call her my friend. 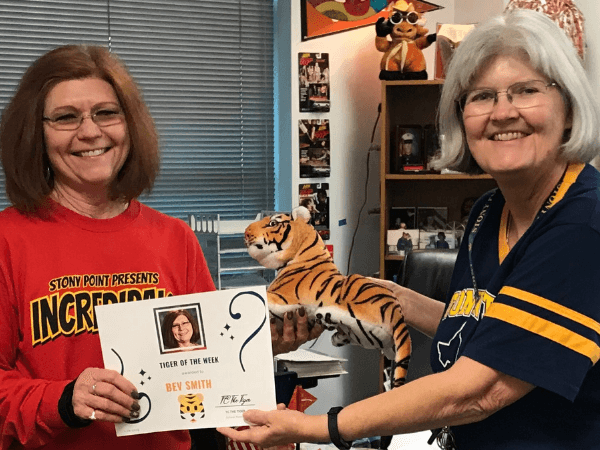 Bev Smith embodies Tiger Spirit like few others. Every Friday in Football season finds her in a student jersey, honored by one of the players – which she then wears to the game to cheer on our team. 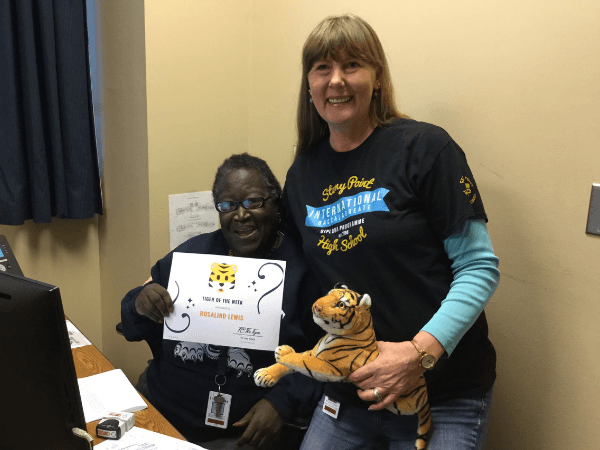 She coordinates the PALS program which involves our students in the lives of elementary students in our feeder pattern, making Tigers-To-Be and enriching their young lives. She displays compassion for students who appreciate an extra adult voice. She is even the mother of a former Drill Team instructor! And if you want to take a break from 2019, her classroom is a throwback to a groovier time! Sue Dorrance is receiving this award for many reasons. First, she is always here to help students and staff and always has a smile to greet visitors to the library. Second, her angelic voice can be heard daily on the daily SPHS announcements. Third, she is an avid supporter of both SPHS Vollyball; She is a super-fan girl – as well as press box announcer – for SPHS Softball. Since the opening of SPHS Mrs. Dorrance has been making our days bright and sunny and we look forward to 20 more years of her effervescence.